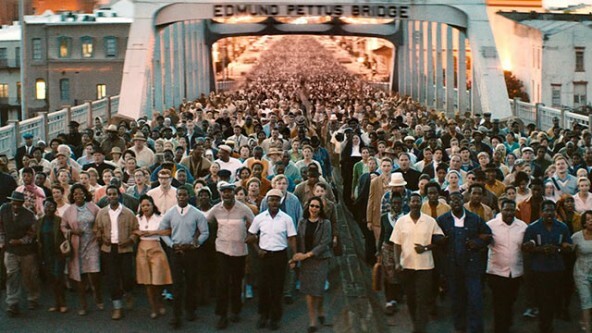 Tonight I had the chance to see the new movie Selma about a moment in the Civil Rights Movement (1965 to be precise) when Martin Luther King led a protest in the town of Selma over the discriminatory practices used to keep black citizens from voting. 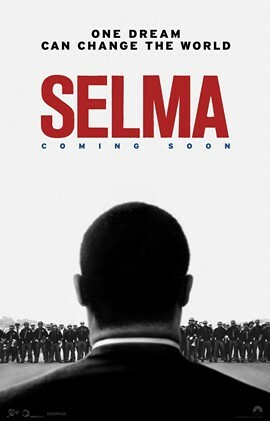 I’m almost ashamed to admit it but I will- before this movie I didn’t know that much about the Selma riots. I knew about the march on Montgomery, bus boycotts, march to Washington, Medgar Evars, and the Greensboro Sit-ins. I know about a lot but for some reason this particular event had escaped my education. Not that you can ever take all of your education on anything from the storytelling of a movie, but I am grateful to this film for introducing me to the subject and doing so in a very moving, motivating way. I feel inspired to learn more. 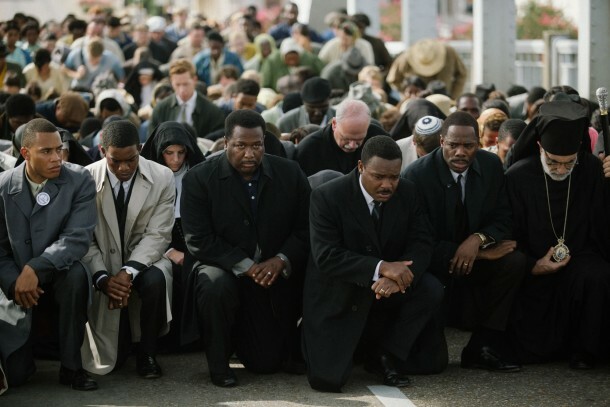 Selma is an extremely strong movie I think everyone should see (even you non-Americans). We all should know about these injustices. We should know because they persist in today and unfortunately always will. The human brain has a hateful side to it that always wants to prop one group over another and feel superior for a variety of reasons. This then provides a rationale for all manner of hate because it is not a person we are hating but a ………. (fill in the blank). My own ancestors had an extermination order written against them and were forcibly evicted from this country. We all have those stories in our heritage and need to know about them. 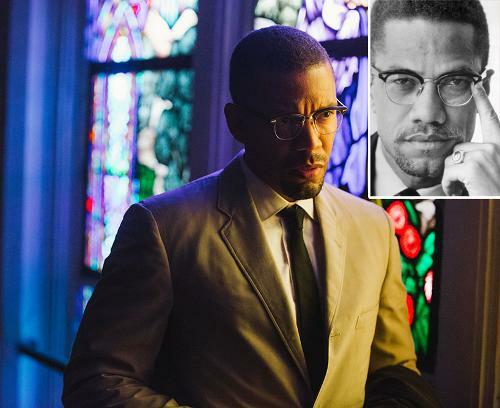 But that does not mean that Selma is preachy. It is a lot like Stephen Spielberg’s Lincoln but I think more effective in some ways. Just as in Lincoln we learn about the passing of the 13th Amendment, Selma focuses on the months leading up to the passage of the Voting Rights Act of 1965. Martin Luther King is played very well by David Oyelowo who even sounds like King and captures both the loud and soft moments very well. This is not a perfect version of King. It shows him as a man who is unfaithful to his marriage and perhaps an idealist to a fault. I was glad he is not shown as a paragon of virtue like a Lifetime Movie might have. God uses very imperfect vessels to further his work and someone like Dr. King was used to do great things. Imagine what we imperfect souls could do? The cast is huge and features many famous names like Common, Cuba Gooding Jr, Niecy Nash, and of course Oprah Winfrey in a small but moving role (you forget sometimes she can really act). 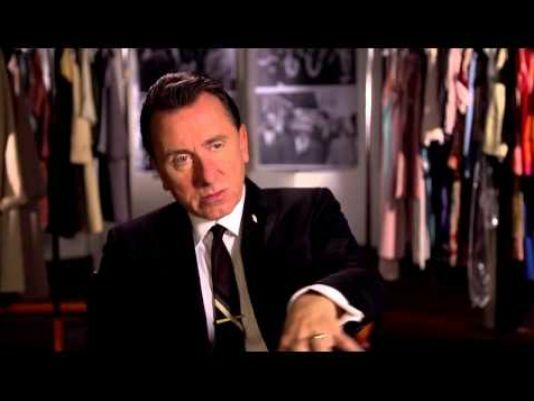 If I was going to nitpick the casting of 2 Brits as LBJ (Tom Wilkinson who’s accent roams) and George Wallace (Tim Roth) was odd. They are both fine in their scenes but the accents could have been better. 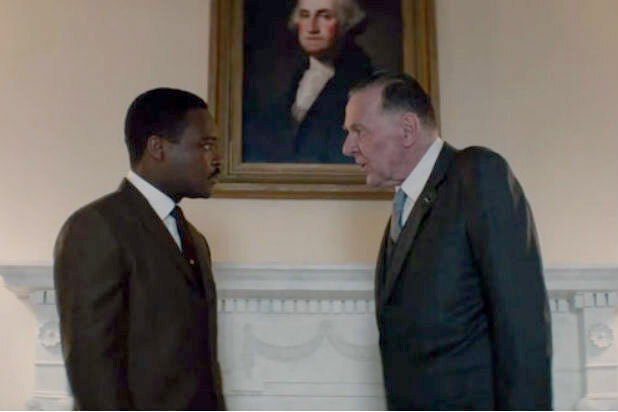 Liberals might be ticked off at this movie because their patron saint LBJ is painted as an adversary of King. Someone who had to be talked into a corner in order to bring the bill to Congress. I liked how it shows people how complicated governing is. Something which seems so cut and dry to us may be littered with land mines for the folks in Washington. Doesn’t mean you don’t act but it is harder often than we realize. Another aspect of the movie I liked was it is not a ‘white people are evil’ message. In fact, thousands of white clergy came at the call of King to join in the march across the Selma bridge. There were nuns, rabbi’s and many of other faiths, which was something I didn’t know about. If I had to nitpick there are quite a few stops and starts. I kept thinking the big moment was coming and then there would be another but it didn’t bother me much. The characters were interesting enough and I was engaged throughout. The music by Jason Moran is also excellent. One thing that annoyed me in Lincoln was the John Williams score telling you what to think every 5 seconds. This was more subtle while still being dramatic when it needed to be. I had no idea Dr King was so young when he died- only 39! It’s shocking really. One of the most fascinating men who have ever lived (I mean that), Malcolm X, also makes an appearance and if you have read his Autobiography (which you absolutely should) you totally get what he is trying to say. Again if I was going to nitpick the filming could have been better. There were lots of extreme closeups when a 2 shot or crowd would have been more interesting. But it really is a very satisfying picture. I left learning a lot, crying a little, inspired much and wanting to learn more. Can’t ask much more from a film than that. The performances are excellent even if a few of the accents could be improved. 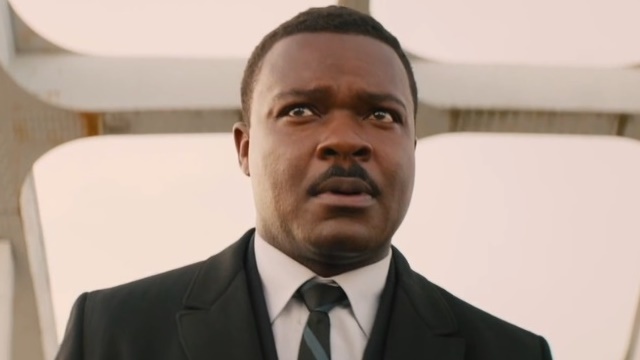 Especially Oyelowo deserves all the praise he is getting. It is quite the accomplishment. 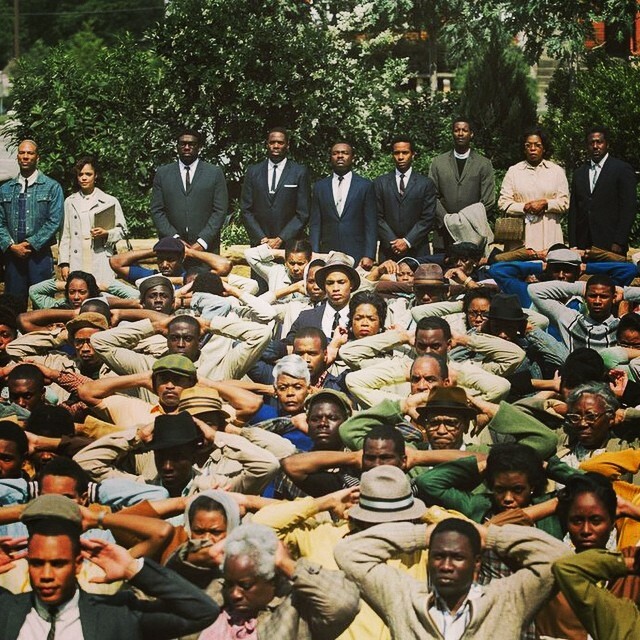 So go see Selma. Take your families and friends. Go see it and talk about what it means and what we can learn from it. As far as content goes it is pretty tame. There are 2 f words and a few other sprinkled profanity but it’s nothing to worry about. The violence against the protestors can be tough to watch with innocent people getting gassed, struck at by police and beaten until a few are killed by redneck thugs. But we need to know and have imprinted in our hearts these things. And if you think the white people are bad in this movie see Rosewood. That movie is brutal. This is enough to show us what happened and teach us something without scarring us for life (although there is a place for that as well. Some things should be taught to us so bluntly). This movie however is more subtle and totally appropriate for mature children and teens. I can see it being shown in schools in years to come and that’s a good thing. 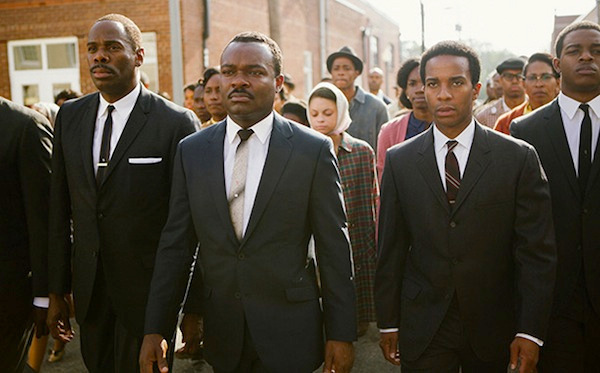 What are some of your favorite movies based on real people or moments in history like Selma? I’d love to hear and if any of you see Selma put in the comments what you think. Thanks! Pingback: Oscar Noms Reactions- 200 posts | Reviewing All 54 Disney Animated Films And More! 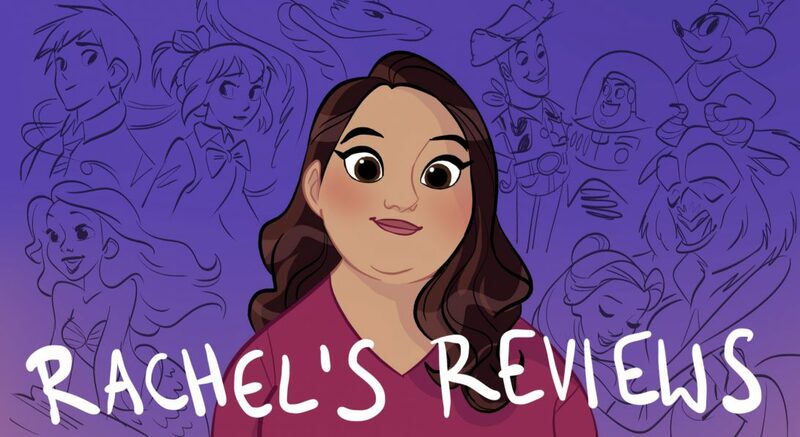 Pingback: Movie For Every Year of My Life | Reviewing All 54 Disney Animated Films And More! Pingback: My Oscar Predictions | Reviewing All 54 Disney Animated Films And More! Pingback: Imitation Game: A Review | Reviewing All 54 Disney Animated Films And More! Pingback: Ranking the Nominees | Reviewing All 54 Disney Animated Films And More!